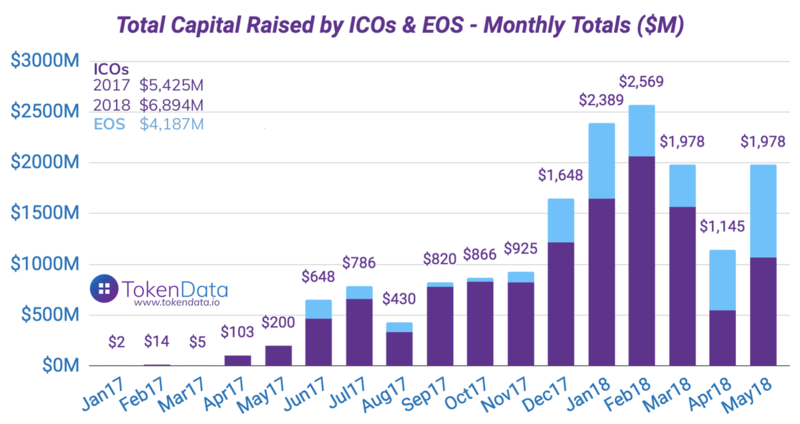 Initial Coin Offerings have raised an incredible $6.89 billion in the past five months, without including EOS, which has just finished its ICO raising $4.1 billion. Just in May alone, some $2 billion were raised in combination, $800 million by EOS and around $1.2 billion by other ICOs according to TokenData. Making it a combined total for Year to Date (YTD) of $11 billion. May saw a jump from April’s $550 million, the lowest amount raised by ICOs this year. 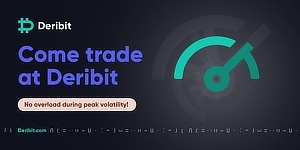 That was while ethereum’s price saw its lowest level for this year, reaching a recent bottom of $360 in April from which it has now risen to a current price of $620. March, on the other hand, saw $1.5 billion raised by ICO projects that do not include EOS or Telegram. While February sees the highest level to date at $2 billion. Top ICOs by amounts raised according to TokenData. The above live screenshot taken just now has seemingly not updated for EOS, which has raised more than some of the biggest IPOs of the year. 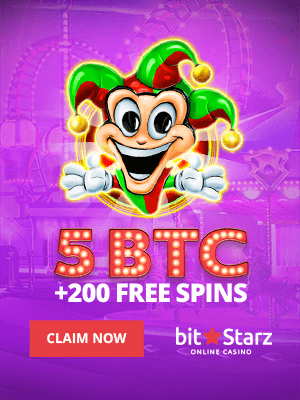 Excluding Telegram and EOS, all of the other top ICOs shown above have raised around $1.5 billion in combination. They have been able to attract such huge sums due to investors in search of high returns. So high in fact some ICOs have neared 700x returns within a fairly short period of just one or two years. In total, more than $23 billion has been raised so far up to March 2018, according to data from Elementus. That includes Petro, EOS and Telegram, which raised a grand total of $11 billion by the time their ICOs fully completed. Regulatory uncertainty remains in regards to this very novel method of fundraising as policy makers and participants in this space alike try and strike the right balance between deterring fraud while facilitating capital formation. New methods are however arising in the form of airdrops, but ICOs do have a fairly unique quality in providing upfront financing in a distributed manner. Arguably, ICOs capped at $20 million and below should be excluded from securities laws, but the crowdfunding exception applies only to amounts raised of no more than $1 million, and even then you have to ensure individuals do not invest more than $2,200 through AML/KYC whitelists. One million is arguably far to low to even pointless, so Congress should raise the exemption to $20 million since the $2,200 safeguard applies. Yet the market moves very fast in this space where innovation is booming and smart people across the world are racing to catch the low hanging fruits. Asking for forgiveness rather than permission, therefore, might be the approach for some, while others may be moving outside of US to friendlier jurisdictions. As such, it does appear SEC’s intervention has not affected much on the ground as loopholes are utilized and jurisdictional competition is employed, but America does need to decide whether they want to keep innovation in the country, or keep seeing it go off-shore. Great infographic, the Petro ICO has not made much noise but it’s clearly the biggest one ! I tought telegram was first and EOS was second : https://www.cryptolia.fr/actualite/eos-abandonne-le-reseau-ethereum-et-lance-sa-propre-plateforme/ But it’s clearly a mistake. Really amazed to see this after the fall in BTC price from nearly about $2000 in the month of january to February and almost dip to $6500. But the investment in ICO $2 billion in February show we all believe the potential and the future of crypto currency and the digital currency.